Photo of DD Michelle and her family out to dinner on Mother's Day 2018.
using 1 or more circles. 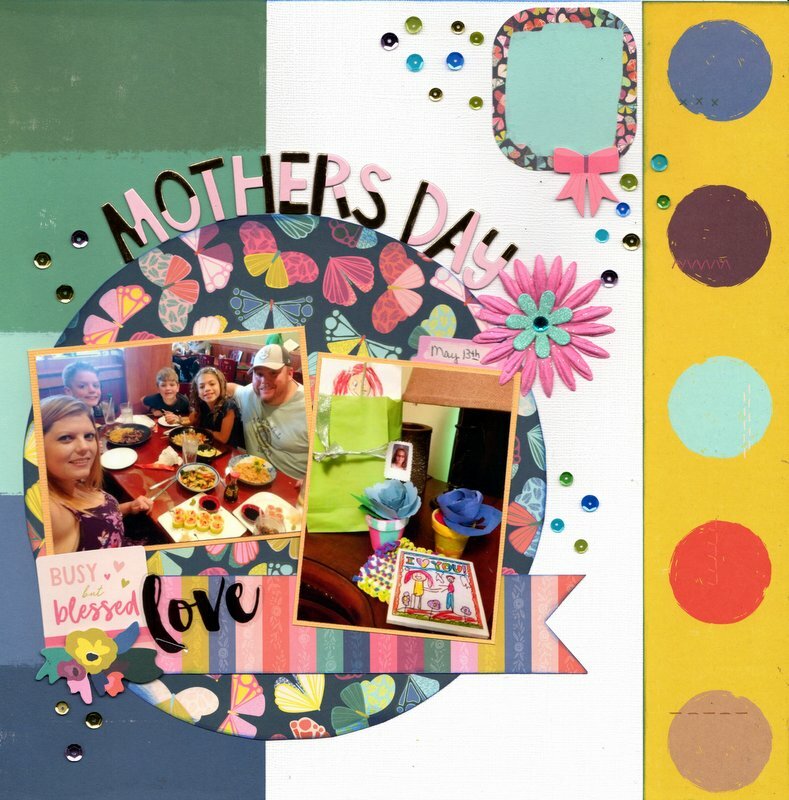 I used a patterned paper strip of circles, a large circle, and lots of tiny little circular sequins. 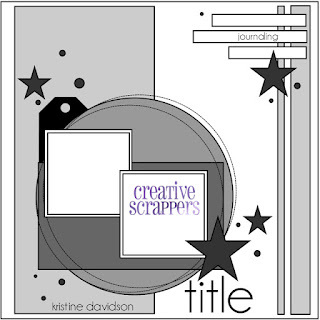 Based on this sketch by Kristine Davidson, Creative Scrappers.